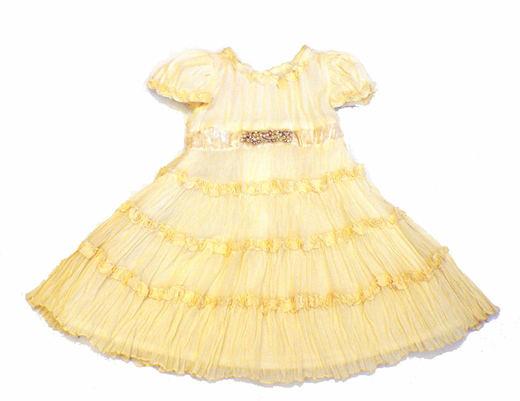 Baby Biscotti *J'Adore* Tiered Dress- Sizes 3M to 2T. Click to enlarge view! Biscotti Dresses *J'Adore* Ivory/Gold Tiered Dress is made from silk and is fully lined with velvet and crystal-back tie. This truly enchanting heirloom dress is one of our personal favorites this season!